Skywatch Friday – Sky on fire ! | Highway - the only way ! Skywatch Friday – Sky on fire ! 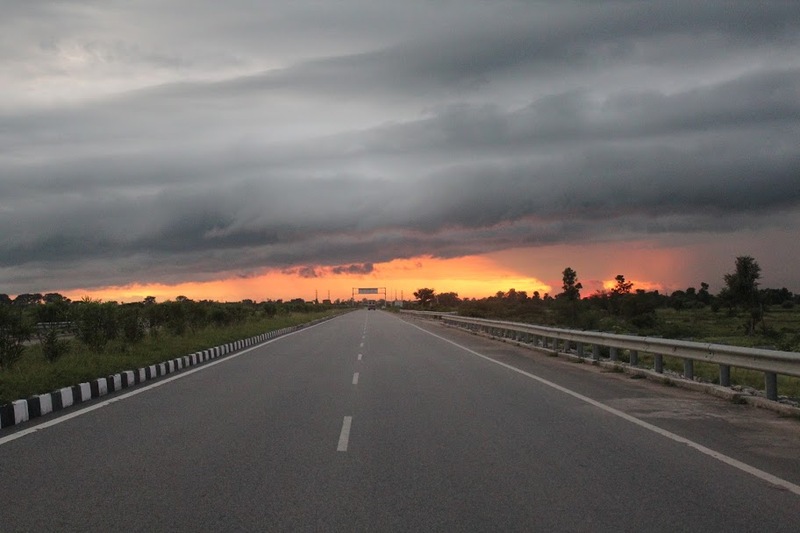 Friday means Skywatch Friday and this week we catch the evening sun setting the sky ablaze over the National Highway 7 near Kamareddy, India. La foto è molto interessante ! Awesome shot! Looks like it was taken right through your windshield. amazing atmosphere and contrast: the road meeting the sky. It was one awesome sight ! Thank you. What a wonderful way to end a day, driving off into a beautiful sunset. Such a beautiful thought, thank you ! I really like this shot. Wonderful. It’s almost like you can see the light at the end of the tunnel. Well done. Have a blessed week-end. Thank you so much. You have a great weekend too !